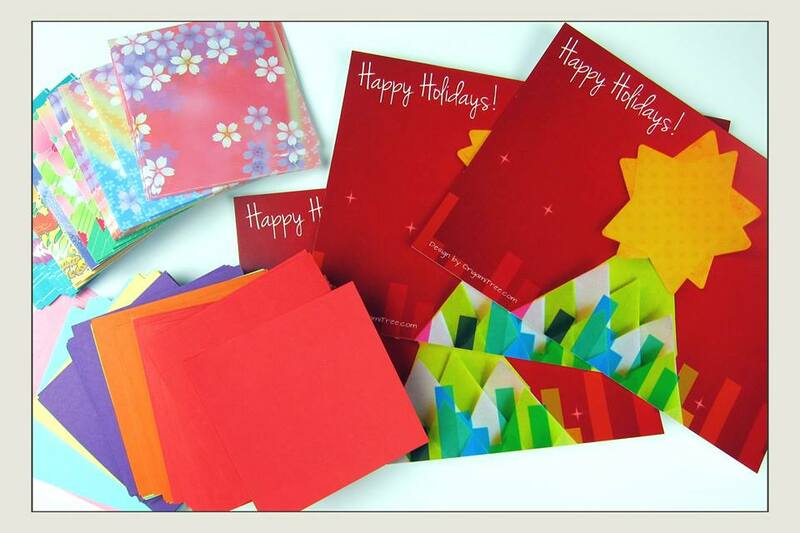 (ENDED) Personalized Holiday Card & FREE Origami Paper! Contest Ended Friday, 12/19/14, 11:59 PM EST. In celebration of the holidays, I’m giving away THREE exclusive, personalized/signed Holiday cards to THREE lucky subscribers on YouTube. You can’t find these cards anywhere else! They’re an original design. Plus, I’m throwing in TWO DOZEN FREE sheets of origami paper with every card! Be on the look out for a video of the details tonight!! And if you haven’t already subscribed, please SUBSCRIBE on YouTube, and share! Please watch the video below for details!